My step-dad* has follicular lymphoma that morphed into the more aggressive diffuse b-cell lymphoma. Yesterday he went into hospital for a month long stem cell treatment. There was a 6% chance his cancer mutate. He now has a 30% chance of survival. There’s a 2% chance he’ll never make it out of hospital. My mother had breast cancer (that’s her on the left, next to my step-dad). She was lucky. After a full mastectomy on her left side, she went into remission. She is now 8 years cancer free. My father had a stage 4 invasive melanoma removed from his back. They did an x-ray and found shadows on his lungs. He was told he had 3-6 months left to live. They treated him with antibiotics as a precaution, and the shadows on his lungs cleared. It had not metastasised after all. He gets to live. My step-dad might die of cancer. I talk to my mother on the phone and she says she’s tired. My step-dad isn’t working. Mum works nightshifts and visits my step-dad in hospital during the day. She wants to take time off work to spend with him, but they can’t afford anymore unpaid leave. My step-dad is still with us, but there’s always another appointment, another complication, more bad news. Sometimes I feel sad, but most of the time I’m too busy worrying about my mother to feel anything for myself. My mother is a nurse and she struggles to manage when she should be a concerned loved one and when she needs to be a medical professional. 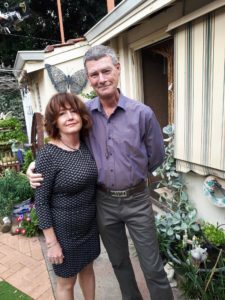 My step-dad’s kidneys have failed multiple times and, on all of those occasions, it was my mother who saved him, who recognised the symptoms and insisted he go back into hospital. He doesn’t want to live his life in hospital beds. He no longer likes the taste of beer. I’ve recommended a book to my mother, something I think will help her work out what to say. Something that will give her permission to be a concerned loved one, and not a nurse. That book is When Breath Becomes Air by Paul Kalanithi. Kalanithi was a neurosurgeon. He was also diagnosed with stage IV metastatic lung cancer. He died before he finished writing the book, and the last few chapters are written by his wife, who survives him. Kalanithi was in his final year of residency as a neurosurgeon and neuroscientist when he was diagnosed. My step-dad used to be a bricklayer and a labourer. He now weights 63kg, despite being 6 foot 1. His body had always been strong. It has held him up when he’s been too tired, hungover or too sick to keep going. Now his body is a prison. It is a building on fire and he cannot put it out. Kalanithi begins his book by talking about patients he’s operated on, by talking about his life. As the book progresses, this line between patient and doctor blurs. When Kalanithi is diagnosed, he is both the patient and the doctor. He expects to consult on himself. 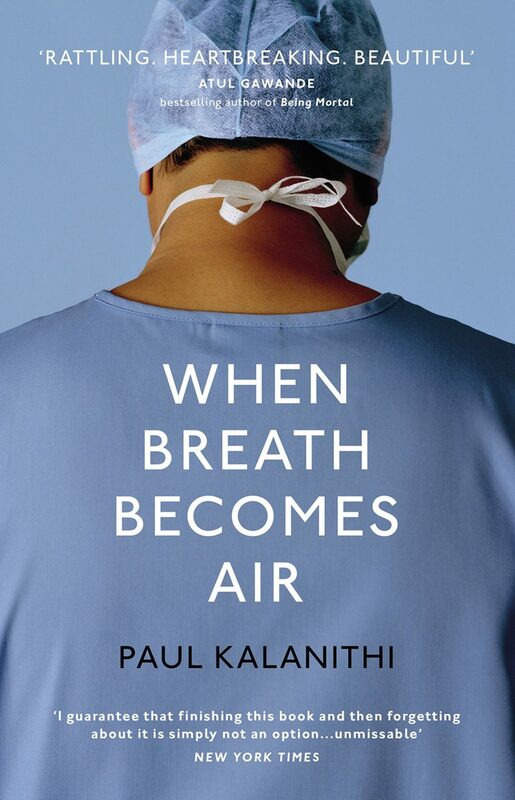 Kalanithi’s book is a heartbreaking read because he plans for a future he knows he no longer has. He knows what the diagnosis means. He researches his odds in medical journals. He still makes plans. I don’t know what it’s like to be diagnosed with cancer. I don’t know what it’s like to have everything you’ve worked towards ripped from you. We define ourselves through time; by what we have done in the time we have. We all think we have an infinite about of time. We have an imagined self who uses that time better than our current self. I do not know what it feels like to lose that future self to cancer. What is it like to be told you don’t have a future, or worse, that no one knows how much of a future you have? I hope I’ll never have to know, but not knowing makes supporting my step-dad harder. How do you support someone with cancer? You don’t try and take away the pain. You don’t try and ease their suffering. You give them something worth suffering for. The pain Kalanithi feels is the pain of life. It’s the pain of having done something he doesn’t want to lose. It’s the pain of having lived and having left something behind. Isn’t that all we really want, after all? To leave something behind that we can be remembered by. *Technically, they aren’t married, but it has been 10 years. I feel sad. I’m not sure if it is my memories of having a finite mortality or of a deep understanding of the angst that Steve, and others, are now going through. I know how I felt at the time but I am not as erudite as Paul Kalinithi and cannot for the life of me put those feelings into words. I just know that I do not want to be there again. I will be though, we all will be, but I don’t want to consider it at all at this moment in time. I believe Steve will come through this latest challenge. I don’t know why, I believe this, I just do. Kalanithi’s book is great for that reason; it puts into words what it means to live and to reflect on that life when facing death. It reminds me of the latin phrase ‘memento mori’, which is to reflect on death and your own mortality. It’s something that’s become almost taboo in modern culture.